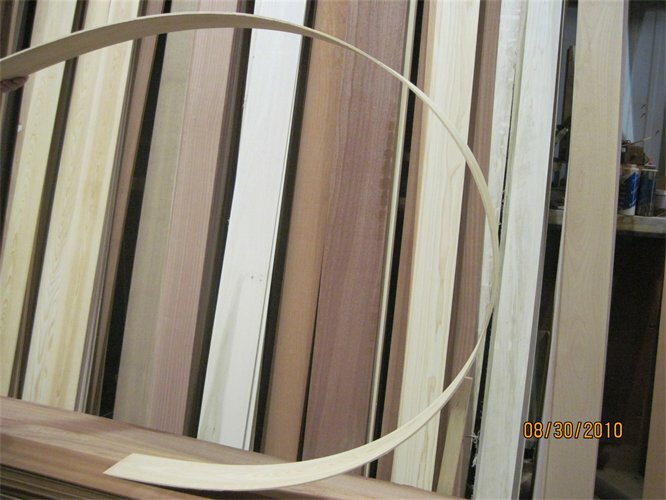 .200″+/- Veneers are bendable, as shown and many clients use them to glue up for radius heads. The veneers used as a backdrop only display a small amount of the variety of woods we offer. « Custom engineered door stile and rail products and engineered window parts can be made out of most all species of wood. Call us for details. 770-345-1053 or call us Toll Free at 1-800-456-7081, or email sales@doorstilesofga.com.